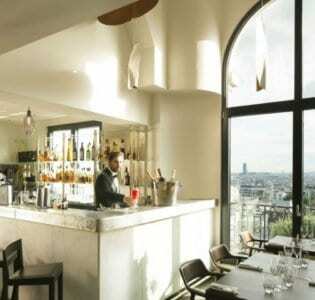 There’s a Caledonian theme to the bar at the 3 star Hotel Brittany on the rue Saint Lazare in the South Pigalle area. 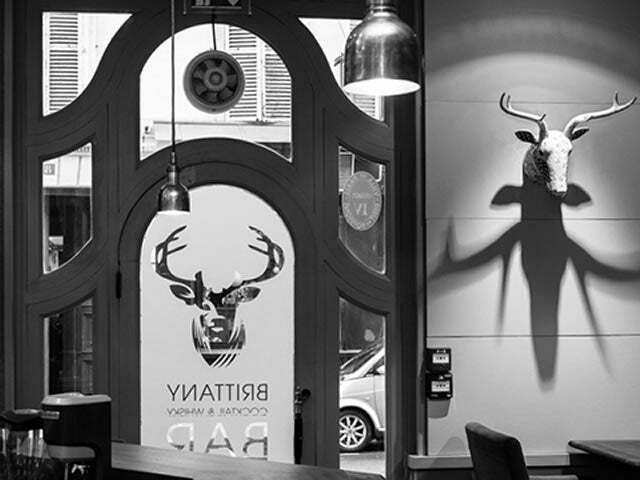 A stag’s head is emblazoned on the door and there are thistle murals and photographs of whisky stills on the walls. 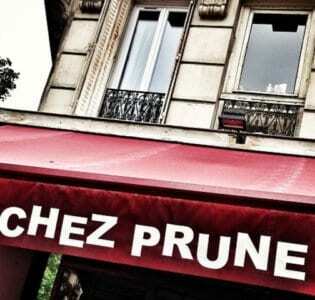 It’s no surprise then that whisky is a big thing here. The drinks menu features a wide range of Scotch-based cocktails along with a number of ‘piscines’ which come served in balloon glasses over ice and topped with fizz. The cocktail list is divided into three differently priced categories, so you can choose whether your drink is made with Classic, Premium or Top Shelf spirits. 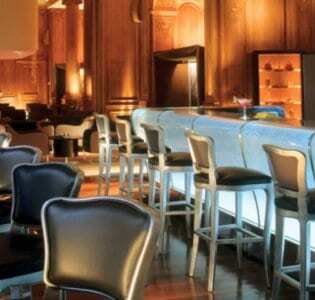 The bar also stocks, it goes without saying, a comprehensive selection of single malts. The service and atmosphere are as you might expect from a hotel bar of this type, efficient and friendly, if not overburdened with character. The fact that the hotel is located slightly away from the main sights of the city is reflected in the bar’s slightly quiet and subdued vibe. It’s a grown up venue, the kind of place you come to savour a decent dram rather than kick-start a wild night. Plans are in place for themed evenings and tasting nights to pull in more customers and liven things up a bit, to turn this bar into a proper destination spot for those who love their whisky. As it is, it’s a decent place for a quiet mid-week drink.